Pretoria - Officially he is being rested as per the agreement with SA Rugby, but there is real concern that Victor Matfield may be hiding a knee injury that could keep him out a lot longer than this week, the supersport.com website reports. 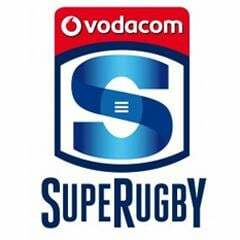 The Bulls announced late on Monday that Matfield and Jan Serfontein would both be rested for Saturday’s Super Rugby encounter with the Lions at Emirates Airline Park during their weekly injury report from the medical personnel. But supersport.com has learnt that Matfield is likely to be out a lot longer than just a week, and is currently struggling with a knee injury picked up against the Crusaders. Matfield is seen as a key member of the rest of the Bulls campaign and also for the Springboks ahead of this year’s Rugby World Cup, especially with a dearth of five locks at the moment. And while he needs some rest during the season, the Bulls have chosen to rule him and Serfontein out for the week. Team doctor Org Strauss confirmed to supersport.com that Matfield is struggling with a knee injury, but said no decision had been taken yet. “He has a stiff knee, nothing too serious but we will make a decision later on in the week,” Strauss replied to queries about Matfield’s fitness. Yet there are concerns that it may keep him out for up to a month, with the Bulls not wanting to announce it yet given the psychological aspect that Matfield’s presence has on opposition packs. Serfontein could well have started this week but the performance of Burger Odendaal at centre gives the Bulls some breathing space in the midfield, and Odendaal deserves another cap after the way he played against the Crusaders this past weekend. 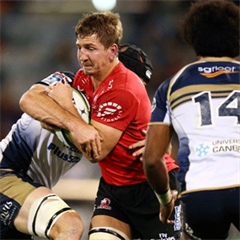 Arno Botha’s hamstring injury has also ruled him out this week, although like Odendaal, his replacement Hanru Liebenberg has been impressive as well after his 11th hour call-up. The good news is that it seems Flip van der Merwe will be ready to play in a week’s time, after a long-term pectoral muscle injury sustained in the pre-season while both Jacques-Louis Potgieter (hamstring) and Callie Visagie (ribs) have been cleared and are fit for selection. Wings Akona Ndungane and Travis Ismael both are still ruled out until April 13, meaning Francois Hougaard is likely to continue at wing and not return to his regular spot at 9 for the next few weeks at least. William Small-Smith is scheduled for a return on April 20 after tearing ligaments in his foot.